This image is taken at the Virginia War Memorial in Richmond. I focused on the names instead of the eternal flame or the memorials people leave like the rose because it is the people who matter. 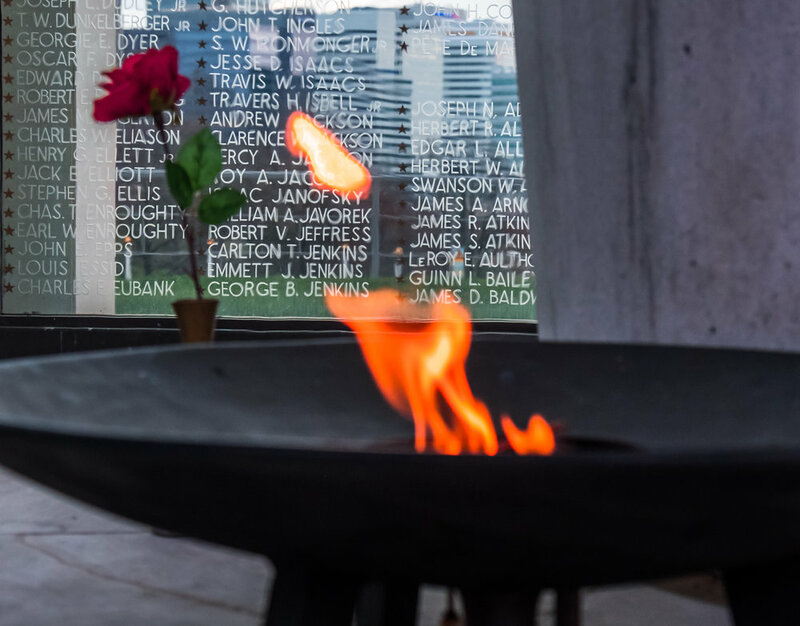 There are walls of glass and marble with hundreds of names from several conflicts of men and women who died serving this country. Great place to think.